A dog with stomach cancer not eating can be quite a worrisome ordeal for many dog owners. These dogs are often suffering from nausea and a sense of malaise which interferes with the desire to eat. Dog owners may need to feed foods that are particularly appealing, but not always such foods are healthy (often too salty, too fatty or too spicy) and they can actually make the dog even more sick. On top of that, certain foods may fail to fulfill a dog’s nutritional needs and meet the dog’s daily calorie requirement. Following is some information about what can be done with a dog with stomach cancer not eating. Stomach cancer in dogs is a relatively uncommon type of cancer. Statistics show that stomach cancer in dogs accounts for only 1 percent of all cancers. Stomach cancer has a predilection for older dogs of an average age between 7.5 to 10 years. There are different types of stomach cancer in dogs with the most common being gastric adenocarcinoma, followed by gastric leiomyosarcoma and malignant lymphoma. Regardless of the type of cancer, the most common symptoms of stomach cancer in dogs consist of excess salivation, nausea, bad breath, chronic vomiting, presence of blood in vomit, pale gums, loss of appetite, lethargy, abdominal pain and weight loss. The weight loss may be due to chronic vomiting, loss of appetite, loss of protein and blood from ulcers, poor digestion etc. With all these troublesome symptoms, it is not unusual therefore for a dog with stomach cancer to suffer from loss of appetite. The loss of appetite may stem from pain, nausea and a general sense of malaise that is seen in dogs suffering from cancer. On top of this, a cancer in the dog’s abdomen may happen to grow up to a point of pushing on some nerve receptors that may trigger nausea. It’s important for dogs with stomach cancer to continue eating for as long as they can. Reduced caloric intake leads to weight loss, nutritional deficiencies and a weakened state. It’s not surprising therefore that cancer cells rob the dog’s body of energy sources, depriving dogs from the intake of calories derived from the foods he is fed. It’s as if, when feeding the dog, owners are also feeding those hungry cancer cells. It’s therefore not surprising why cancer causes the dog’s metabolism to increase dramatically, with the end result of causing weight loss. A dog not eating during this time of great need can therefore lead to a cascading chain of events, leading to what is known as cancer cachezia,a medical term used to depict the loss of appetite, and its associated weight loss, taking place secondary to cancer. Another problem is the fact that, when a dog fails to eat, he becomes predisposed to painful stomach ulcers due to the accumulation of stomach acid. It is therefore easy to be caught in a vicious cycle of the dog feeling pain and nausea due to the tumor, followed by the dog not eating, and then the stomach tumor being left to the mercy of the stomach acid, explains veterinarian Dr. B. Did you know? Dogs can learn quickly (one-trial learning) and start associating eating with the subsequent nausea or belly pain. This taste aversion may be difficult to overcome. It’s not like in people where you can persuade your dog to eat and tell him how much better he’ll feel if he takes a bite, explains Susan Harper, an Animal Health Consultant with a Diploma in Animal Healing. As seen, a dog with stomach cancer not eating may lead to several complications which may cause a cascading chain of events. It’s therefore important to help these dogs feel better and eat as long as they can, at least until their quality of life is still acceptable. And yes, eating is an important factor when it comes to quality of life, therefore if a dog can gain back some joy in eating, there are chances for buying some more quality time. Following are some tips to help a dog with stomach cancer not eating. Dogs with stomach cancer may suffer from painful ulcers which may primarily stem from the cancer itself (mast cell tumors for instance are known to cause acid buildup) or secondarily as a result of being on an empty stomach too long. To break the cycle, it helps to give the dog some products that can help protect the stomach from too much acid. If you suspect your dog is suffering from painful ulcers, consult with your vet. He/she may dispense you some powerful stomach protectants such as Sucralfate (Carafate). This product works by forming a special “barrier” over the ulcer protecting it from the corrosive action of stomach acid, therefore allowing it to heal. Even if your dog doesn’t have a stomach ulcer, your dog may benefit from medications meant to reduce the secretion of stomach acid. Several of these medications are available over the counter. Examples include , Pepcid, Zantac and Prilosec. Consult with your vet for dosages based on your dog’s weight and frequency of administration. Stomach cancer can cause significant pain, although often this is not readily recognized because dogs are good in hiding subtle signs of pain. In many cases, dogs are affected by stomach cancer for many weeks or months but the symptoms become clear only at the latest stages. For instance, in the case of gastric adenocarcinoma, it is estimated that at the time of diagnosis, as many as 95 percent of these cancers have already spread. Providing dogs with stomach cancer pain relief is not an easy issue. Many medications routinely used to address pain in dogs are far from being stomach friendly. None of these pain medications are available over the counter. Aspirin is very bad for dogs with bleeding ulcers or digestive issues (and can potentially cause issues also in healthy dogs! ), and other OTC products can be potentially toxic. Prescription non-steroidal anti-inflammatory drugs (NSAIDs) are also out of question considering that these tend to increase the risks for stomach acid. Prescription medications that may turn helpful include Tramadol and Buprenorphine. A fentanyl patch is also a good idea considering that it offers excellent pain control while bypassing the mouth. Your vet may wish to dispense some strong prescription medications meant to reduce nausea in dogs. Examples of these prescription drugs include Cerenia, metoclopramide and Zofran. These medications help protect the stomach while countering the nausea which is one of the primary reasons why dogs with stomach cancer go off their food. Some dogs may need a little aid to get them to start eating with an appetite again. Veterinarians may provide prescription medications that may help. One such drug is mirtazipine (Remeron). On top of being sold by vets, this drug is available at any human pharmacy if the vet happens to not have it in stock. Several over-the-counter meal enhancers for dogs are also an option to make food more enticing to eat. There are gravies for dogs to be added to meals. Warmed up foods are also helpful as they release more aroma. Dry food can be ground and mixed with canned food and some warm water to make a slurry. A dog with stomach cancer needs to eat foods that are light and very easy to digest so to not put a further burden on an already weakened organ. There are several choices here. You can cook for your dog, but this is usually a temporary option considering that home-cooked foods may lack important nutrients. 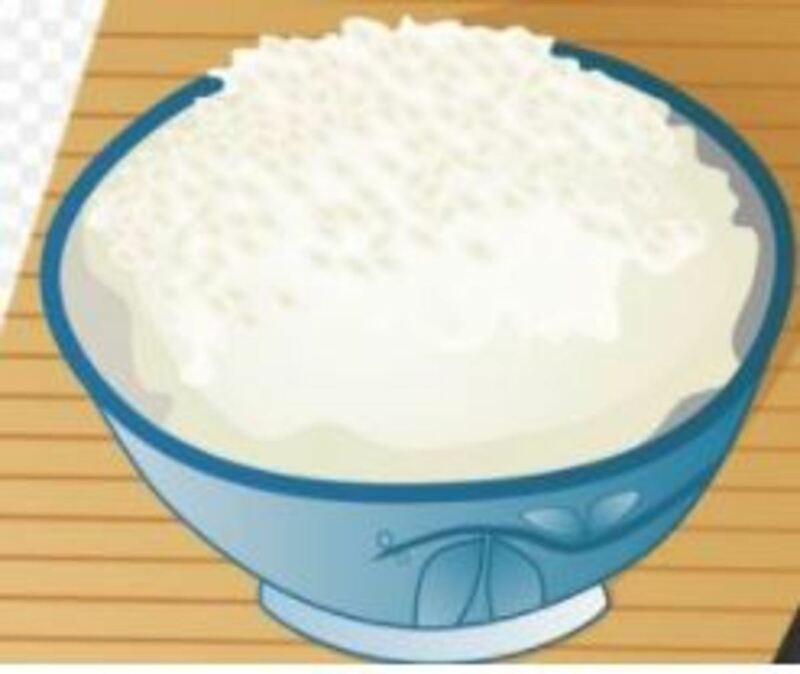 A common recipe that is popular in veterinary circles is a diet of cooked rice (plain, long-grain rice) with boiled chicken with no fat, bones or spices added. The rice here being the bulk of the meal and the chicken mostly added for enticing the dog to eat. In place of boiled chicken, you can try to add to the rice a can of bland meat-based baby food, with no garlic or onion in the ingredients. Alternative options are scrambled eggs (cooked in a microwave rather than in a pan as oil can be difficult to digest) and boiled white fish. If you are not in the mood for cooking, your vet may suggest a veterinary diet that is bland and that offers the advantage of being nutritionally complete. Hill’s I/D is a popular option for dogs suffering from digestive issues. Another option is Royal Canin’s Sensitive. For dogs who categorically refuse to eat, there are further options to get them to ingest at least some nutrients. This is where calorie-dense foods and supplements come into place. Prescription food Hill’s A/D is a popular option that can be dispensed by your vet. This food is very calorie-dense and therefore a little goes a long way. Other options are Royal Canin Recovery and CliniCare Canine Liquid Diet. In severe cases of inappetence, this latter can also be used in a feeding tube, bypassing the mouth entirely. Other options include supplemental products such as Dogsure and Nutrical.